Valley City, Ohio – March 1, 2017 – Cub Cadet announced today the launch of two new utility vehicle models designed around the consumer with capability and customization in mind. 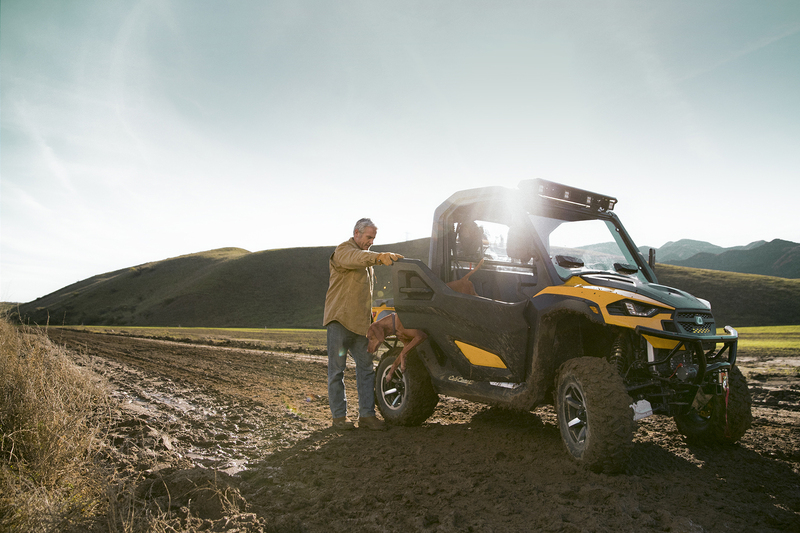 Available at Cub Cadet Independent Retailers, the new Cub Cadet Challenger™ 550 and 750 models are the latest additions to the Cub Cadet utility vehicle family ─ providing industry-leading standard features and limitless customization opportunities. CUB_CADET_D1-0202_rt4_LRThe automotive-style cockpit design includes interior and exterior door handles, a tilting steering wheel, open storage and closed glove box. Premium sculpted seats, along with sophisticated, adjustable suspension shocks provide driver and passenger comfort over rough terrain. Standard high-sided sealed doors eliminate the need for intrusive hip and shoulder restraints and offer splash protection from dirt, mud and water. The exclusive cab design provides an attractive profile design, with sleek headlights, a standard roof, sealed Rollover Protection Structure (ROPS) and sealed windshield. The new Challenger models can be completely weather-sealed in minutes with the quick addition of optional upper doors and a rear window. With modular accessory attachment capabilities, the Challenger 550 and 750 allow for endless customization possibilities. A front accessory mounting panel above the windshield allows the Challenger 550 and 750 to be configured with a variety of items, including LED light kits or other after-market electronic accessories. The exclusive rear mounting rack and accessory rack tubes save cargo bed space while enabling limitless accessory-mounting possibilities, including a gun boot, chainsaw boot and a spare tire mount. The 34 x 46 x 11-inch cargo bed features an exclusive set of integrated attachment points – “T” slots – to help secure purpose-built accessories. The vertical slots accept standard ¾-inch plywood for partitions and slots on top of the side rails to accommodate standard 1 x 3-inch furring strips. The bed boasts a 500-pound cargo capacity for hauling everything from firewood, to stone, to the trophies of a hunting or fishing expedition. The Challenger 550 offers a 546cc Electronic Fuel Injected (EFI) engine rated at 27.5 horsepower, while the Challenger 750 features a 35.8 horsepower 735cc EFI engine. 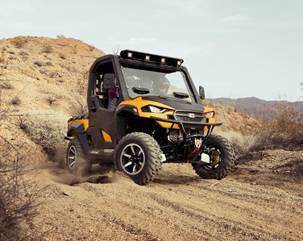 Both models combine versatility and strength, accelerating to speeds up to 45 mph, towing up to 1,200 pounds and pulling up to 3,500 pounds with the standard winch. 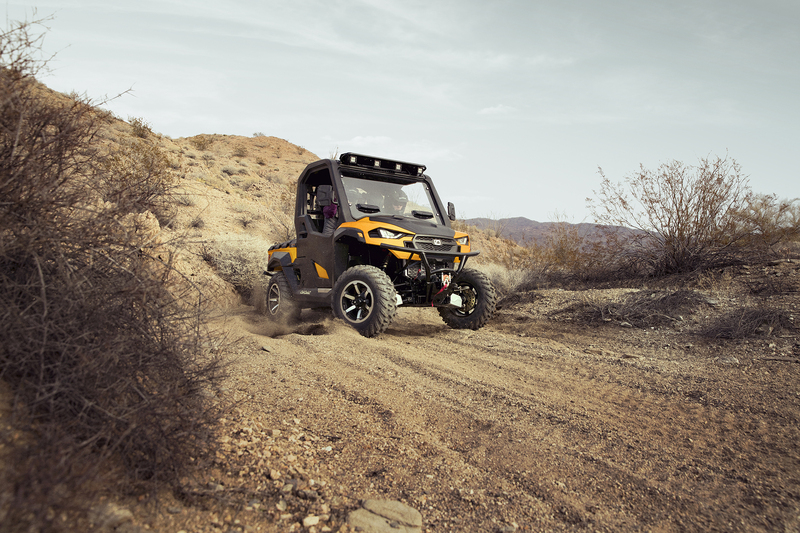 Three-way adjustable shocks and off-road tires with selectable locking front and rear differentials transform typically-challenging obstacles into no challenge at all. 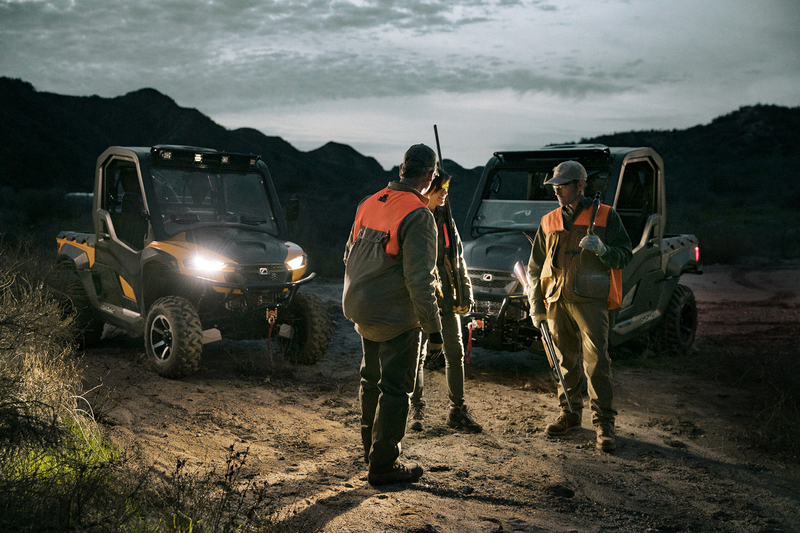 The new utility vehicles are available in Cub Yellow, Blue, Red, Black and Camo to further fit the personalization goals of the customer. 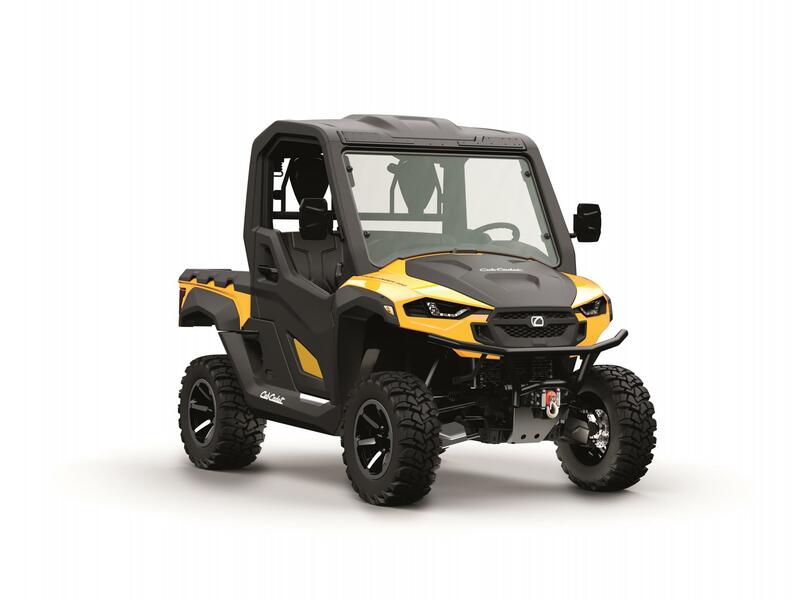 The Challenger Series 550 and 750 are the latest in a growing line of utility vehicles from Cub Cadet, joining the Challenger 400, the Challenger 500, the Challenger 700 and the Challenger 750 Crew. Backed by the strength of Cub Cadet’s dealer network, the Challenger Series provides power, performance, versatility and valuable standard features. More information about the new Challenger Series is available at http://www.cubcadet.com/equipment/cubcadet/utility-vehicles/challenger-5... . Established in 1961, Cub Cadet engineers, designs and builds outdoor power equipment using the highest quality components sourced locally and globally. Through a dedicated and extensive network of dealers and retailers, Cub Cadet delivers a full line of high performance power equipment and services that covers all aspects of grounds care for professionals and homeowners – including four-wheel steer zero-turn riders; lap bar zero-turn riders; utility vehicles; lawn and garden tractors; lithium ion- and gasoline-powered handheld and chore products; snow throwers and more. Based in Valley City, Ohio, Cub Cadet is recognized worldwide for its legacy in engineering excellence and its progressive dedication to exceeding owner expectations by delivering on its promise of better products, a better experience and better results. For more information on all Cub Cadet products, visit www.CubCadet.com.